The Oxford Dodo is the most iconic specimen held by the Museum. It is the only surviving dodo soft tissue remains in the world. The dodo was a flightless bird, first encountered by Europeans in the late 16th century on the island of Mauritius in the Indian Ocean. These birds were about a metre tall and weighed about 20kg. They lived on fruit and nested on the ground. 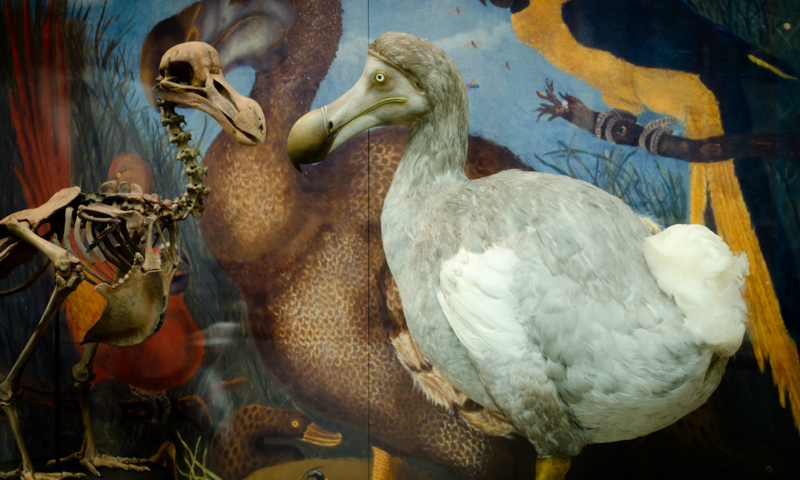 The tale of the dodo’s decline begins in 1598, when Dutch sailors first encountered them. From early accounts, many of the Mauritian birds were tame and easily approached, and so easily caught by humans. But the species’ rapid decline was probably caused by the dogs, cats, rats and pigs that the sailors had brought with them. These animals spread across the island, destroying dodo habitats and eating their eggs. 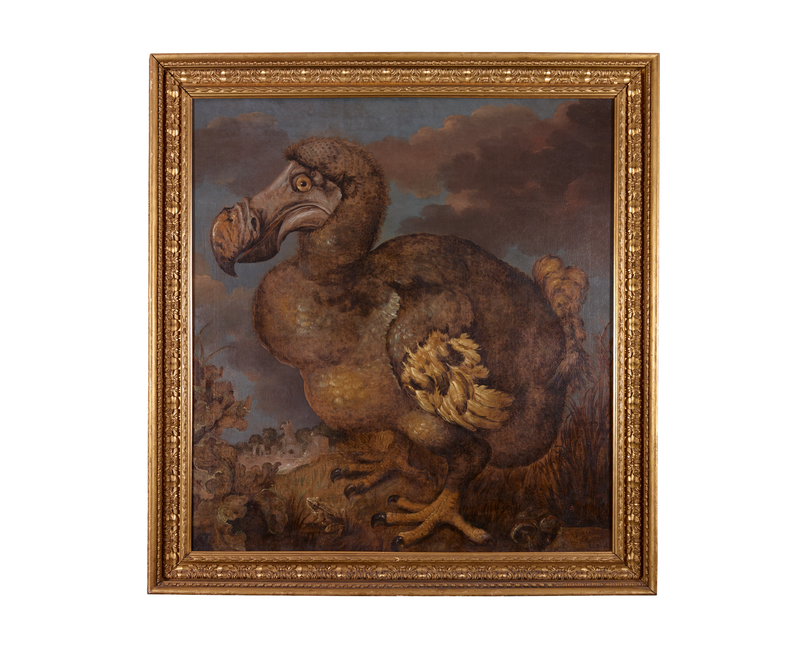 The last confirmed sighting of a dodo was in 1662; by the 1700s, it was considered extinct. Only three dodo specimens from this period exist, despite records of living dodos being brought from Mauritius. One of the three, the so-called ‘Oxford Dodo’, is a specimen that was part of the Tradescant collection, one of the founding collections of the Ashmolean Museum at the University of Oxford. This specimen is first listed in 1656 in a catalogue of the Tradescant collection as 'Dodar, from the Island Mauritius; it is not able to flie, being so big'. It is currently not known how the Tradecants acquired their dodo specimen or the extent of the original specimen. Today, what remains of the original specimen is the skull with left side of skin, the sclerotic ring from the eye, the skeleton of the foot, the sectioned femur, a feather (removed from the head in 1986) and various tissue samples taken over the years. 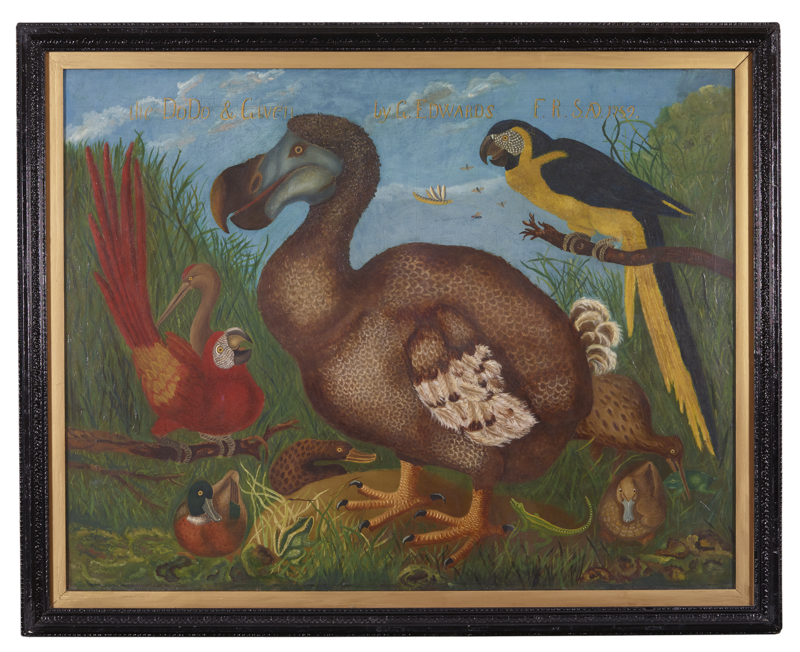 The Museum also holds two of the most famous paintings of dodos: a copy of George Edwards' colourful 1758 depiction and Jan Savery's 1651 image of a plumper dodo. It is now thought that dodos would have been slimmer than they have typically been depicted. Dodos lived in the forests of the island of Mauritius, but how they arrived there is still unclear. In 2002, a group of scientists from Oxford shed more light on the dodo's origins. From the blog: Who shot the Oxford Dodo? If ever the Oxford Dodo were to have squawked, its final squawk may have been the saddest and loudest. For the first time, the manner of death of the museum’s iconic specimen has been revealed: a shot to the back of the head.